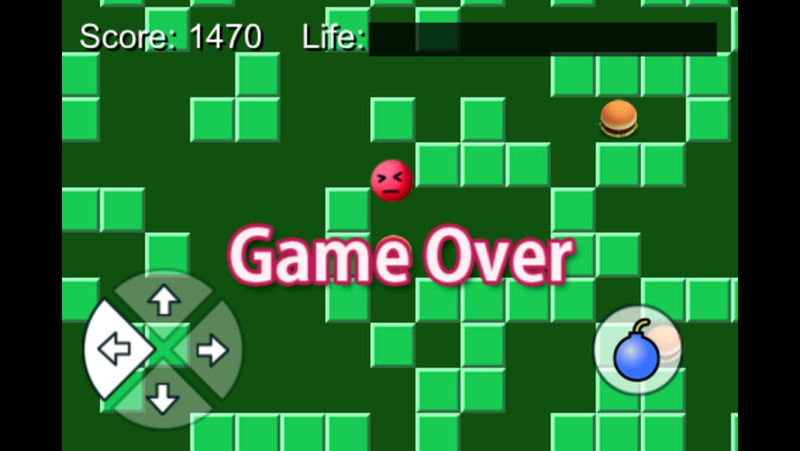 Mr.Papi (red ball guy) is so hungry in a mysterious labyrinth. Touch the arrow buttons at the screen bottom to move and eat delicious hamburgers! 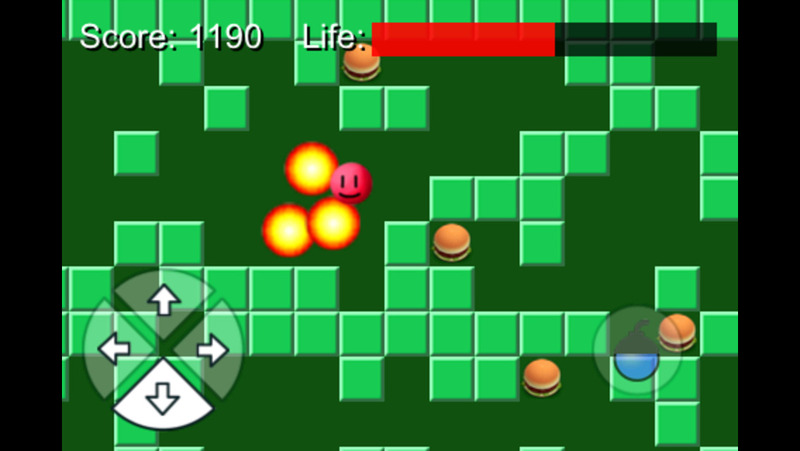 If a bomb is ready, tap the bomb button to blast the walls around him. His life automatically decreases. But it restores when he eats a hamburger. If the life run out, the game is over.